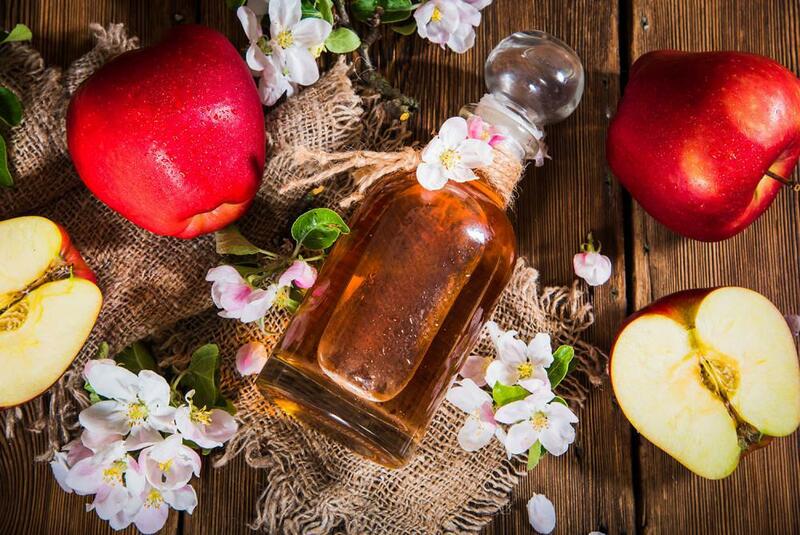 Apple Cider Vinegar (ACV) has been around since 5000 BC. It’s a fermented product that is made using active yeast that is combined with sugar. The yeast consumes the sugar and uses it to grow healthy bacteria which is how the fermentation takes place. ACV has about 3-5 calories per tablespoon and a little goes a long way! Apple cider vinegar contains healing compounds which include acetic acid, potassium, magnesium, probiotics and enzymes. Acetic acid can eliminate harmful “bad” bacteria and at the same time aid in promoting the growth of beneficial “good” bacteria – essentially acting as a natural antibiotic. This means apple cider vinegar naturally provides numerous benefits related to skin, digestion and immune health without any side effects. ACV is also a good source of polyphenols. Research shows that polyphenols play a role in the prevention of diabetes, cardiovascular disease, osteoporosis, cancers and neurodegenerative diseases like Alzheimer’s. Below are a few reasons to incorporate apple cider vinegar into your daily food regimen! ACV has a positive effect on blood sugar levels, helping to keep them stable and to reduce the risk for diabetes or hypoglycemia. Several studies have found that apple cider vinegar may help to lower glucose levels, making it a beneficial treatment for people with Type 2 diabetes. Apple cider vinegar has been shown to support weight loss and metabolism. A study published in the Journal of Diabetes Care found that consuming apple cider vinegar could promote weight loss. ACV reduces sugar cravings and improves detoxification thereby promoting fat loss. Additionally, the acetic acid found in apple cider vinegar helps you feel fuller longer. Apple cider vinegar is a liver and lymphatic tonic which can assist the detoxification process in your body. It helps balance your body’s pH and stimulates cardiovascular stimulation, bowel motility and lymphatic drainage. Apple cider vinegar can help alleviate acid reflux and heartburn that can be a caused by an imbalanced stomach pH, lack of enzymes and probiotics. ACV can help you lower “bad” cholesterol (LDL). According to a study published in the British Journal of Clinical Nutrition, researchers found that consuming just one tablespoon of apple cider vinegar in the morning, naturally lowers your cholesterol. ACV has been shown to increase bile production and support your liver which is very important for creating and processing cholesterol, as well as breaking it down. One way to include apple cider vinegar in your daily diet is to include it in your salad dressing every day!